A fresh blueberry bagel from New Yorker Bagels is the start of a wonderful breakfast — or snack. The aroma of baked-in blueberries fills the room upon slicing, and is beautifully amplified upon toasting. Split and toast, then spread with creamy butter or a butter substitute. Delicious and incredibly satisfying! For babies or young children, keep carry them whole, as-is in a bag for quick and easy snacking on the go. All bagels are great for teething youngsters! Split and serve toasted, warm or cold with a heavy schmear of cream cheese. The cream cheese and blueberry combination create an unexpected and delectable flavor. For a special, decadent breakfast, toast and layer with grilled bacon, sausage or Canadian bacon. 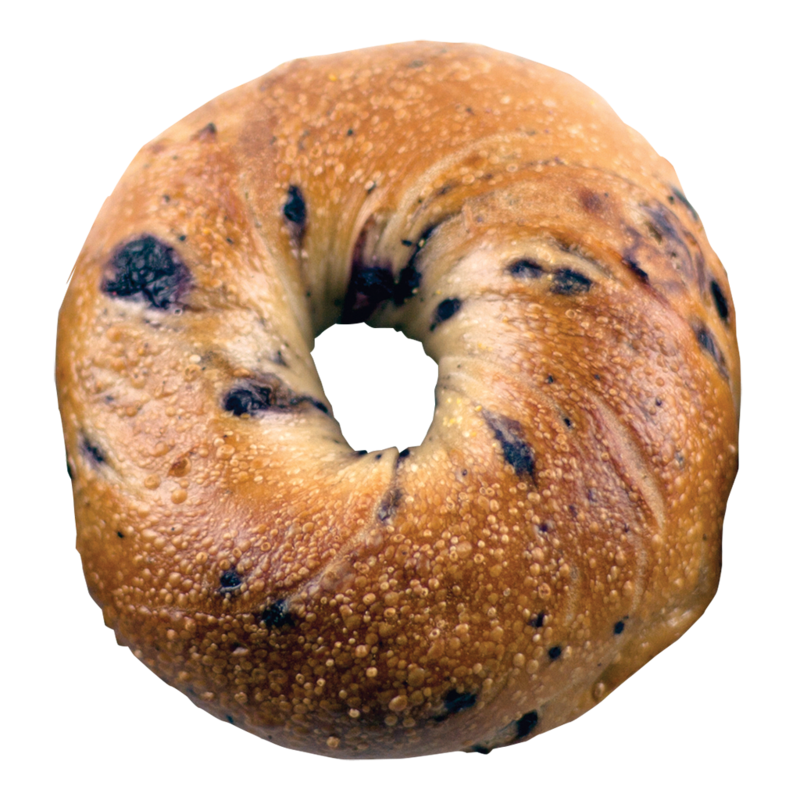 Our blueberry bagel is growing in popularity. Eat them while fresh or freeze quickly!